The old will be made new, and the new will be made holy. Simchat Torah is one of the happiest holidays we observe and it continues to have tremendous relevance in our lives today for those who have familiarity with its contents. It is a celebration and observance of the annual Torah reading first by reading the closing lines of Deuteronomy only to roll the Torah and begin again with the reading of the opening lines of Genesis. 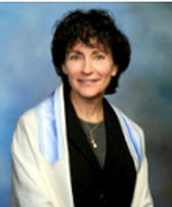 Simchat Torah, though, is not only a time during which we observe endings and beginnings, beginnings and endings; nor is the holiday only a continual reminder that though the words we read are the same year after year, we read them differently because we are different with another year of growth and life experience under our belts. Simchat Torah also reminds us about the possibility and importance of renewal in our lives. It is never enough for us to only recall that we have received the Torah from God through the mouth of Moses while we all in some manner stood at Sinai together. That would be Dayenu but there is more, there is always more. It is as if God is commanding us to be active participants in writing a Torah for ourselves in our own lifetimes, enabling Torah to achieve relevance to each of us through its personalization by us. Rabbah as recorded in the Talmud once said, “Even though our ancestors have left us a scroll of Torah, it is our religious duty to write one for ourselves…. (Sanhedrin 21b). And, this is how Jews throughout the millennia have sustained themselves as a people. More than taking Torah physically with us wherever we go, we cleave to it within our hearts, both individually and communally, allowing it to guide us in whatever situation we find ourselves, during our happiest and saddest moments and every moment in between. With its words informing our lives, we write a personal page of Torah each and every day throughout our lives. By doing so, Torah becomes personal. It becomes our blessing because we strive to make it so and it is this blessing, with all it brilliance, with all its insights about the human condition in relationship to God which we proudly bestow upon our children, and they to their children, in perpetuity. More than a mere text, Torah is life itself. This is what observance of Simchat Torah commemorates, beckoning us to praise and thank God for this incredible gift, a gift which keeps giving, enabling us to renew ourselves and create our lives as the very embodiment of God’s holiness here on earth. ​Keyn Yehi Ratzon. So may it be God’s will.